The Times-Villager reports that the Kaukauna school board intends to review the current merit-based compensation system for teachers and suggest changes. Prior to Governor Walker’s Act 10 legislation, Kaukauna was locked into a compensation system heavily dependent on seniority and amount of education attained by an educator. Now, three years since initially creating a merit-based system, Superintendent Mark Duerwaechter has announced plans to further modify the system. 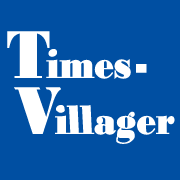 Read more at the Times-Villager.